On Monday, Minneapolis/St. 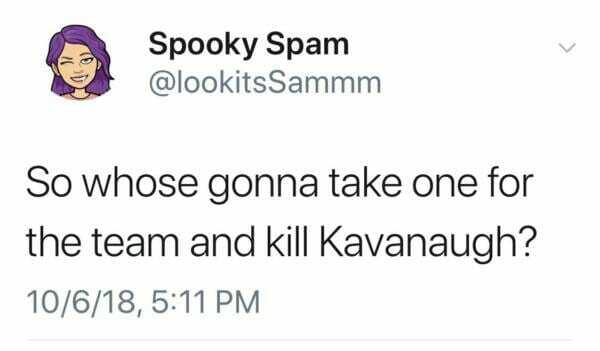 Paul ABC affiliate KSTPreported that the FBI is looking into a threatening tweet posted on social media Saturday that advocates for the murder of newly confirmed U.S. Supreme Court Justice Brett Kavanaugh. 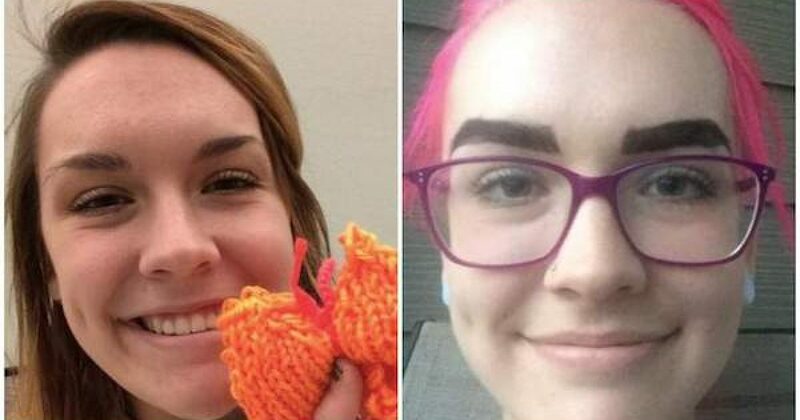 A post at Heavy.com identified the person who sent the tweet as Samantha Ness, an employee with the Alliance Education Center in the Rosemount School District. In the wake of her tweet going viral, Ness has deleted her Facebook, Twitter, and Instagram accounts. However, several users were quick to grab screenshots, and the Google cache for her Twitter account still reveals her most recent tweets. Paid administrative leave is school district talk for paid vacation. She will probably be back to work as soon as things quiet down. Unless of course, the FBI wants to arrest her (doubtful but possible). According to KSTP, local authorities are not investigating the matter since the tweet was reportedly sent from a home not located in the county. The Federal Bureau of Investigation (FBI) is also aware of the incident and will follow up as appropriate. This ladies and gentlemen is an example if what is teaching our kids, and the fact that she will probably be allowed to keep her job is one of the joys of tenure. Kavanaugh, the newest justice on the high court, is set to hear his first case on Tuesday.